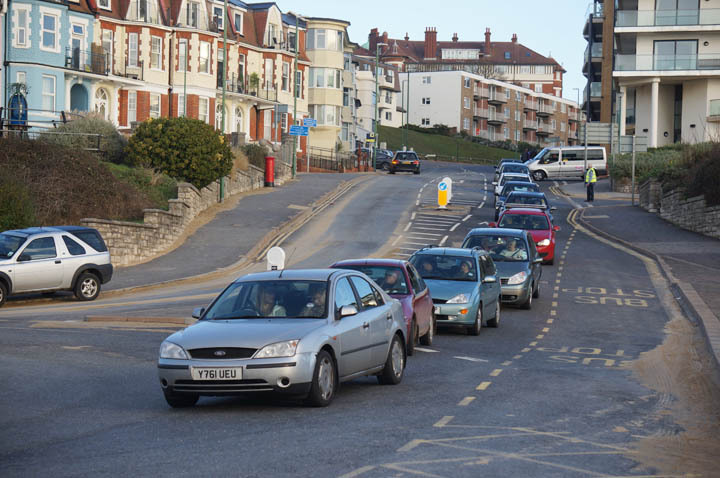 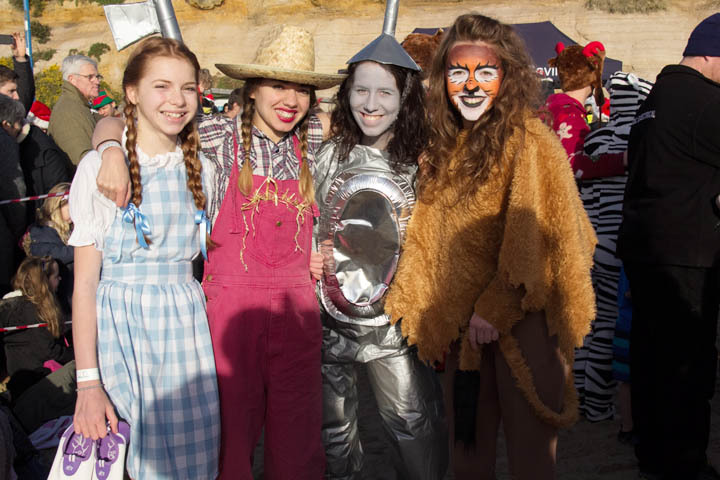 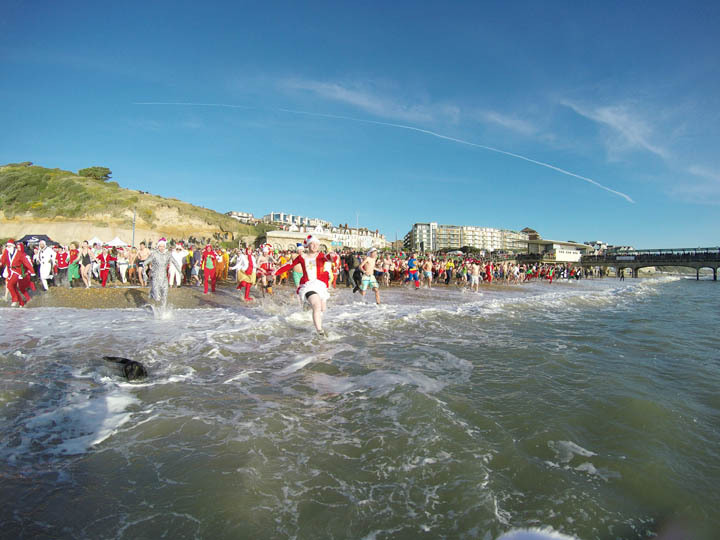 Our headline sponsors make the event cost neutral, meaning every penny raised by you charging into the sea is used where its needed most. 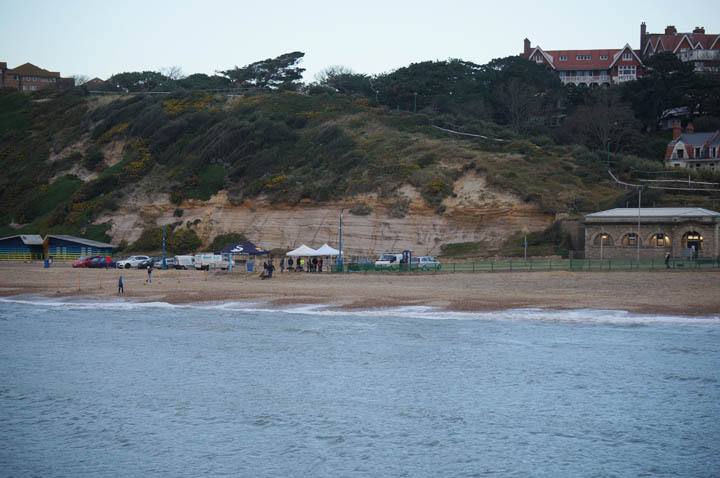 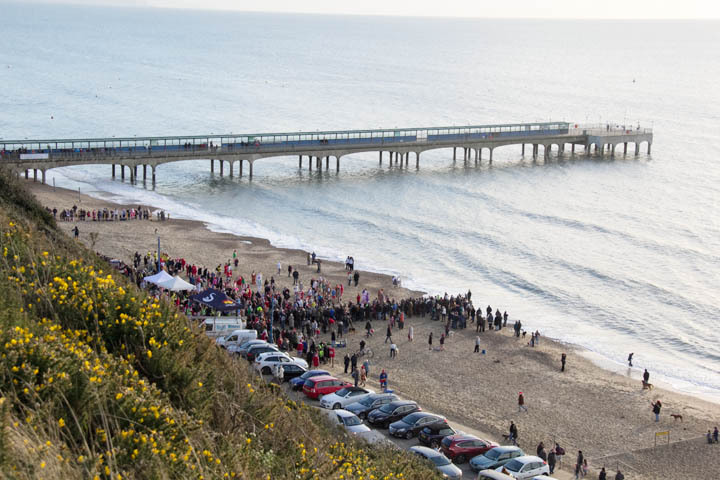 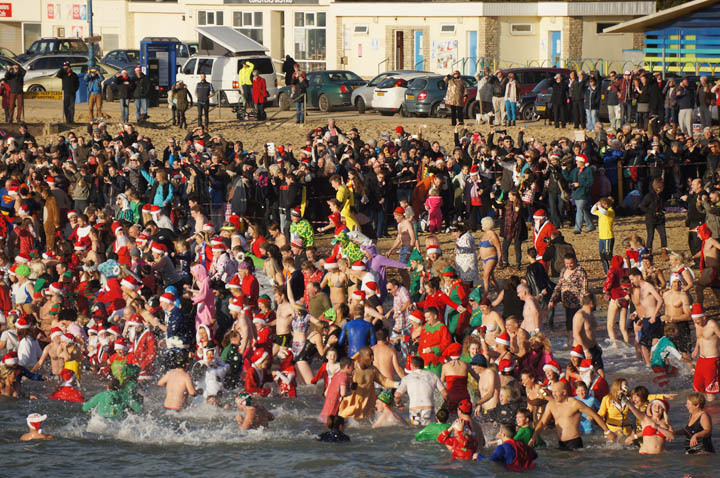 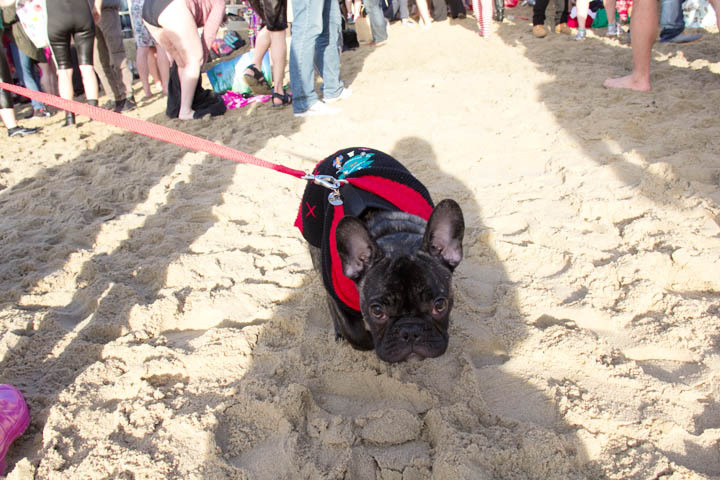 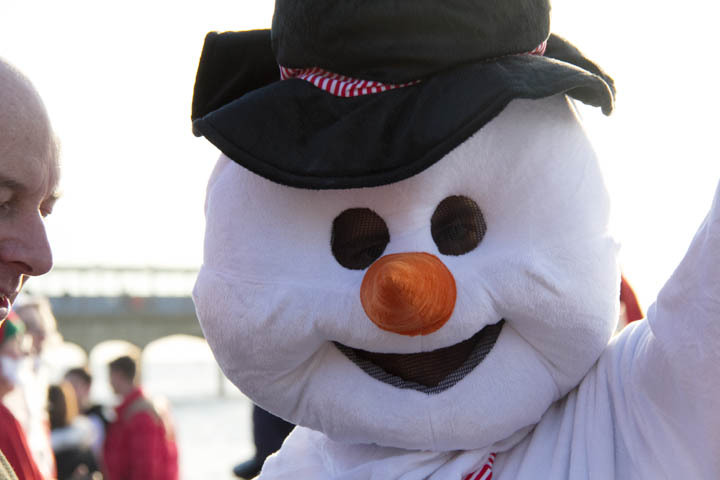 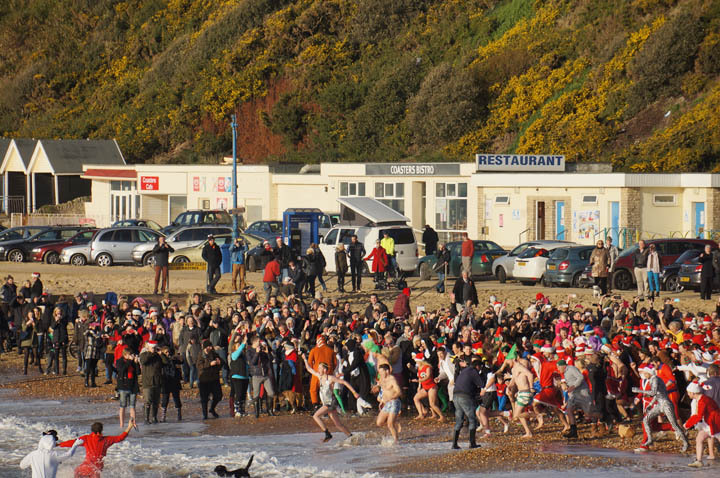 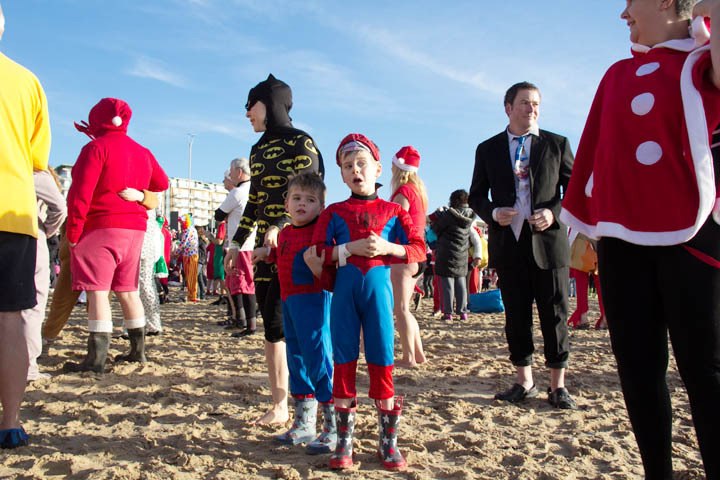 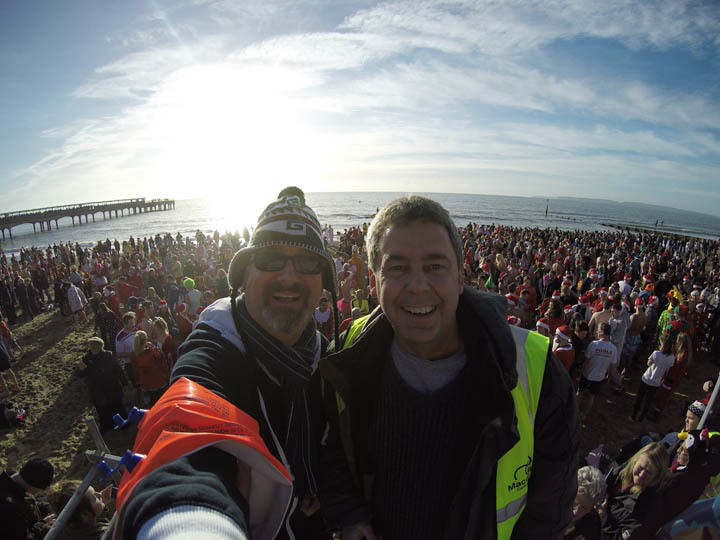 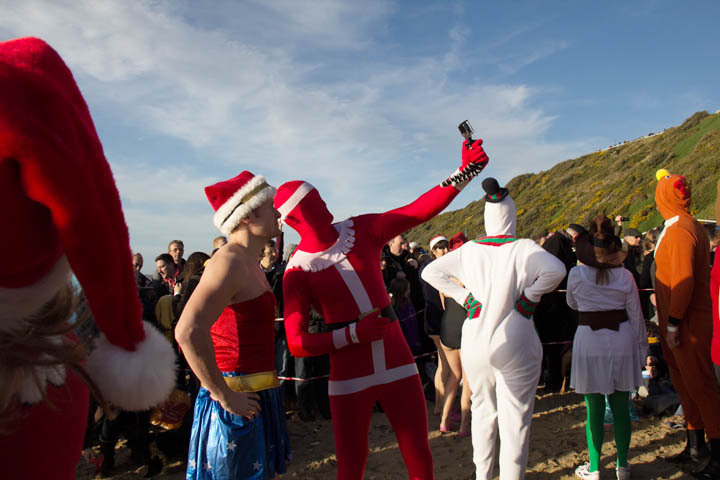 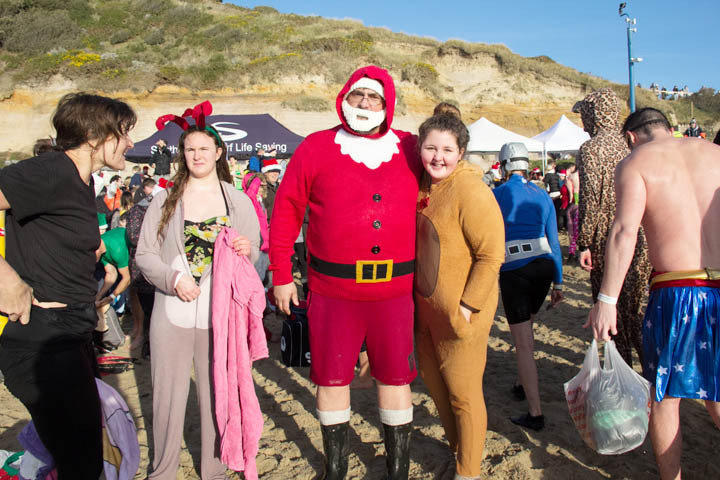 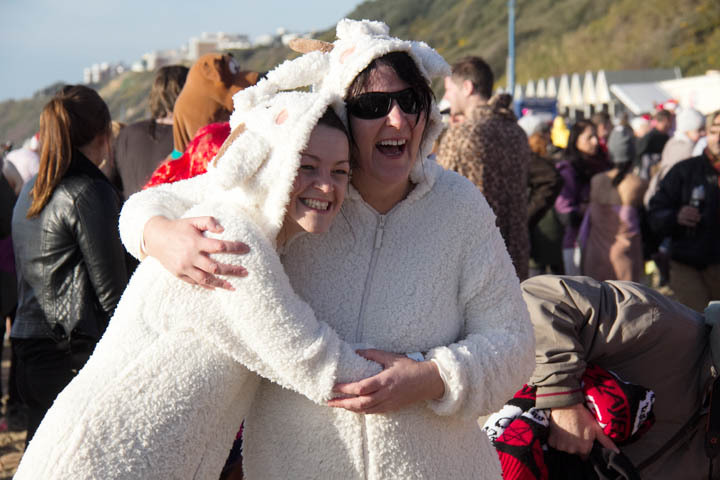 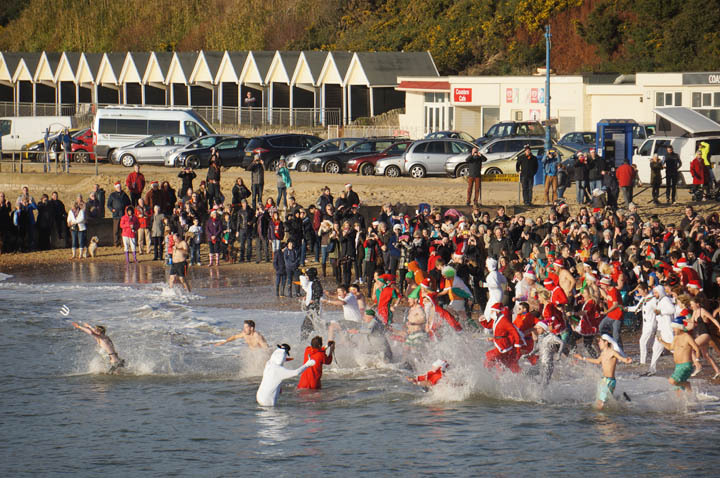 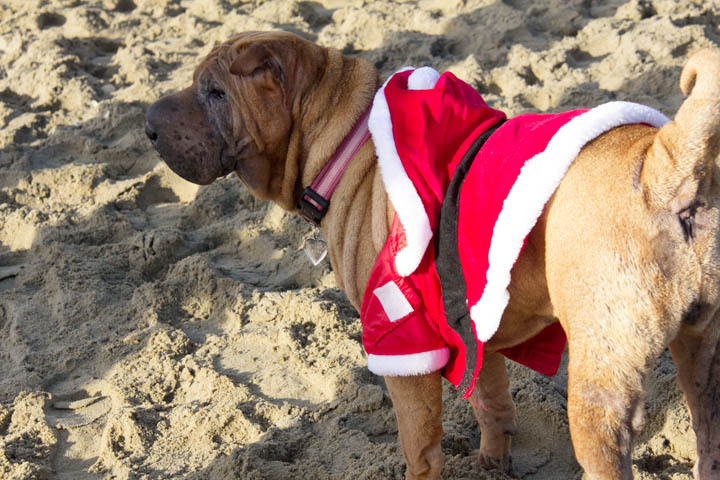 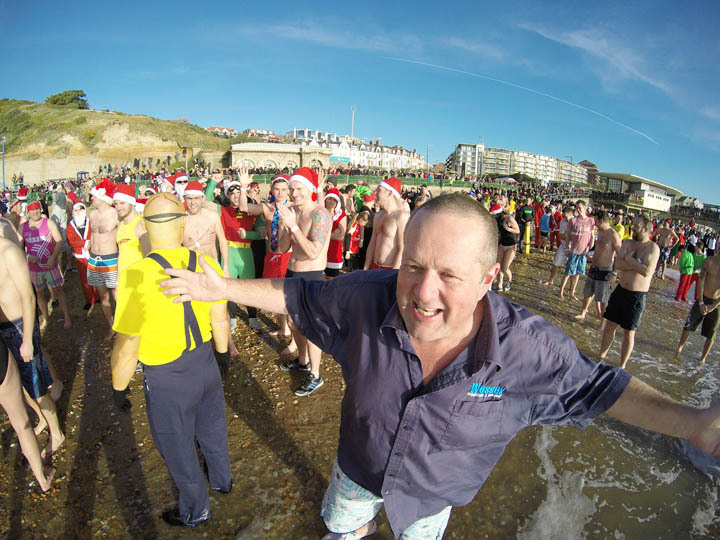 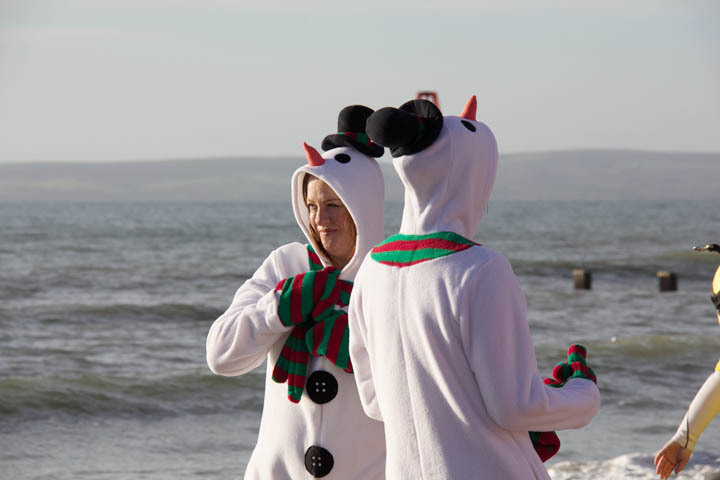 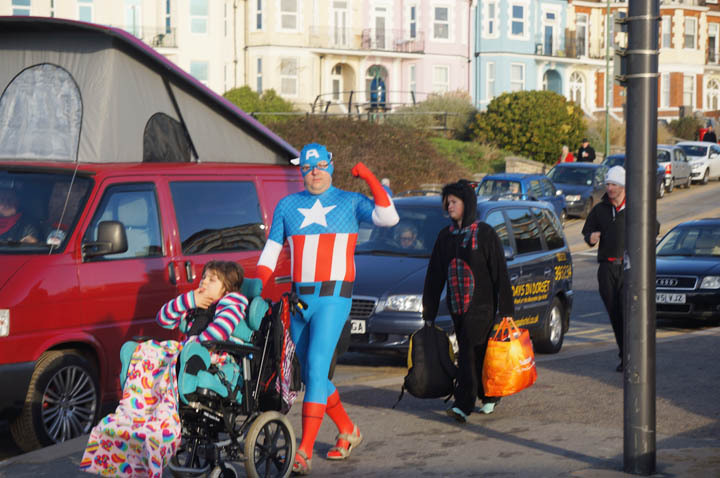 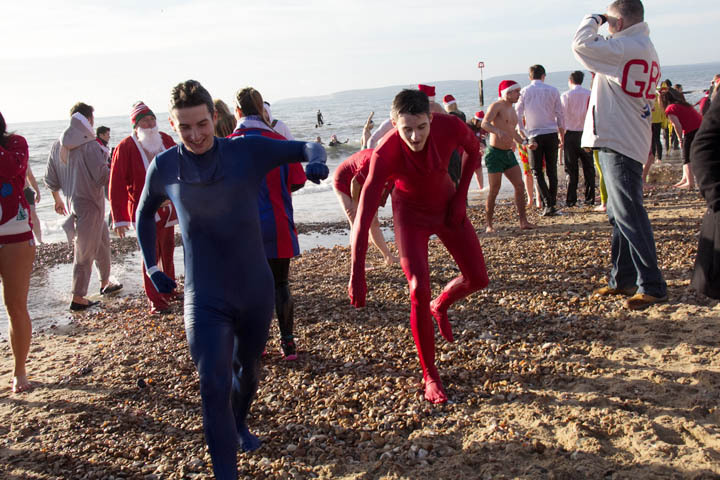 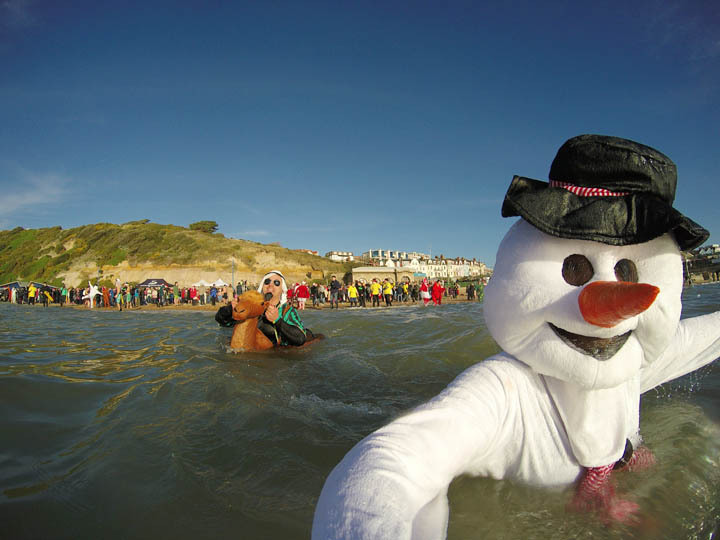 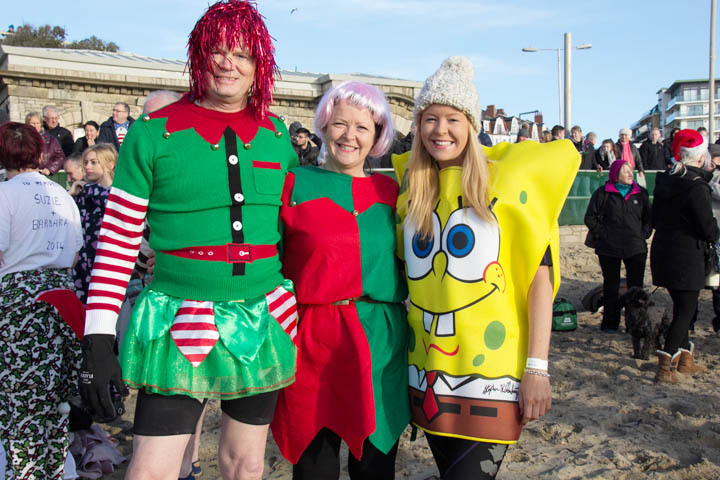 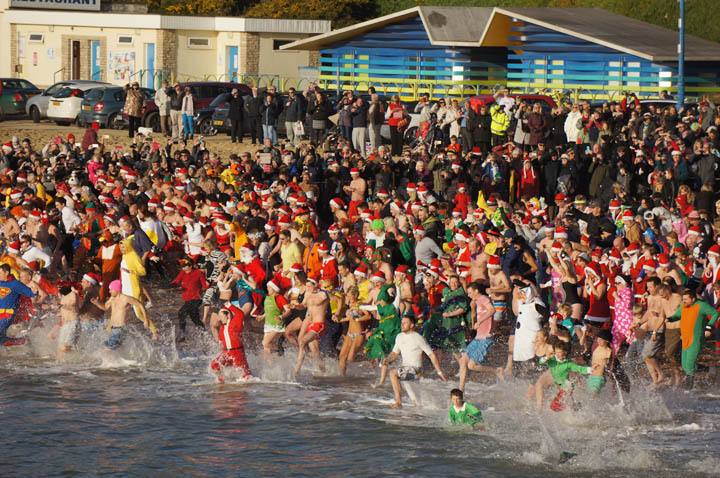 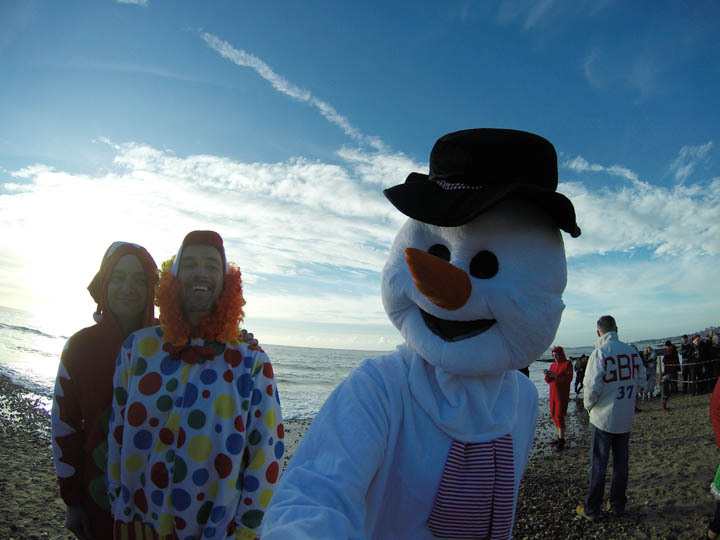 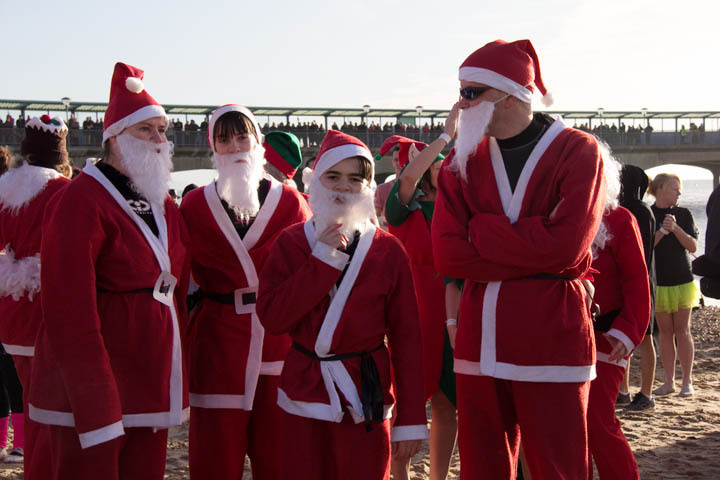 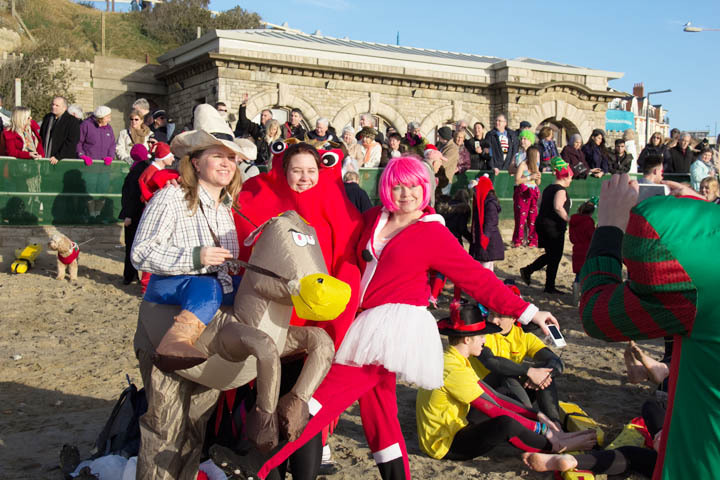 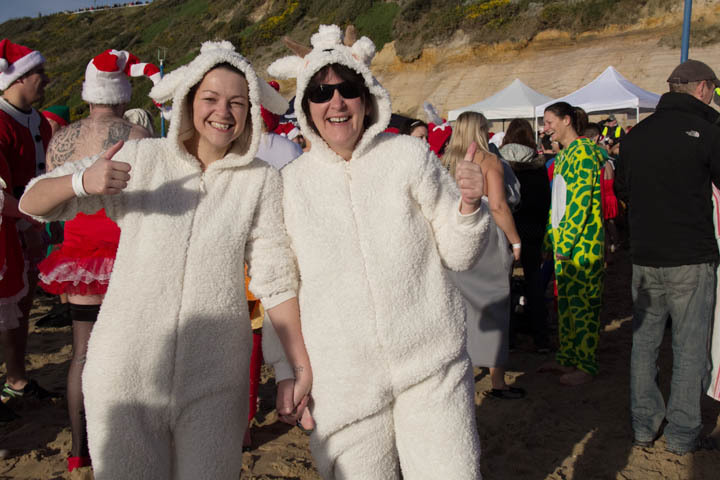 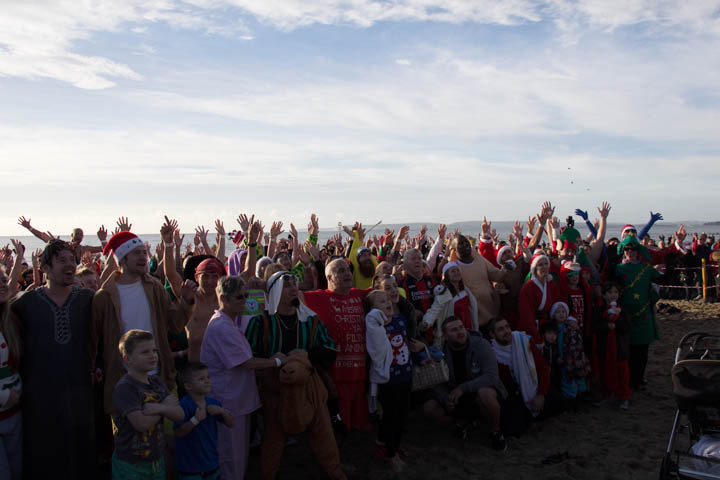 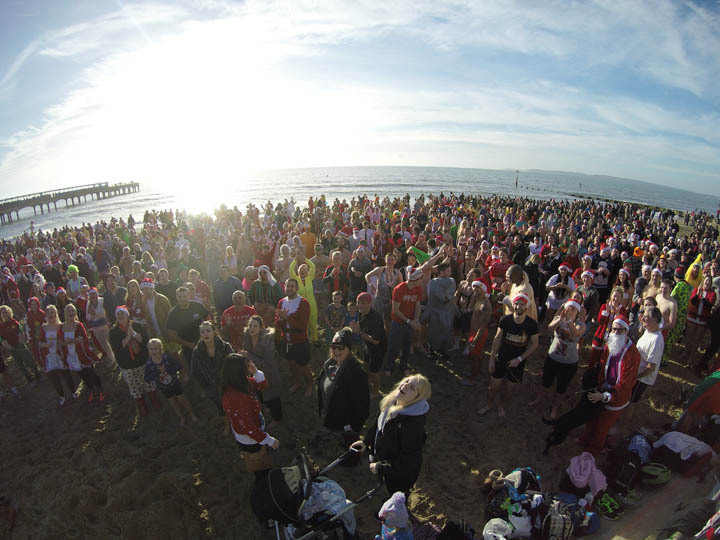 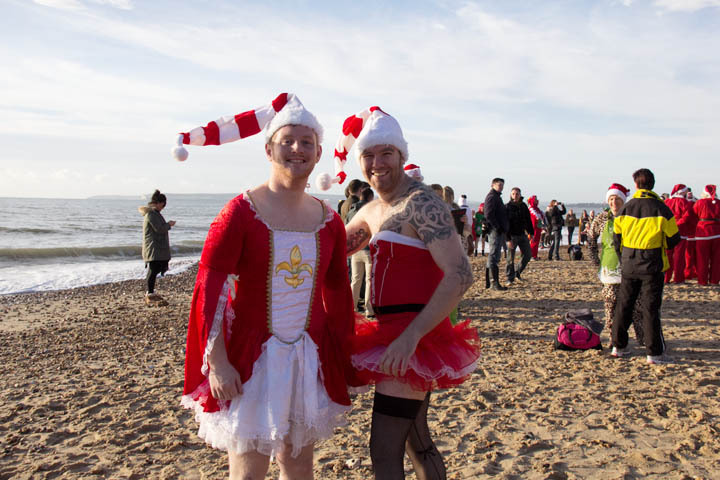 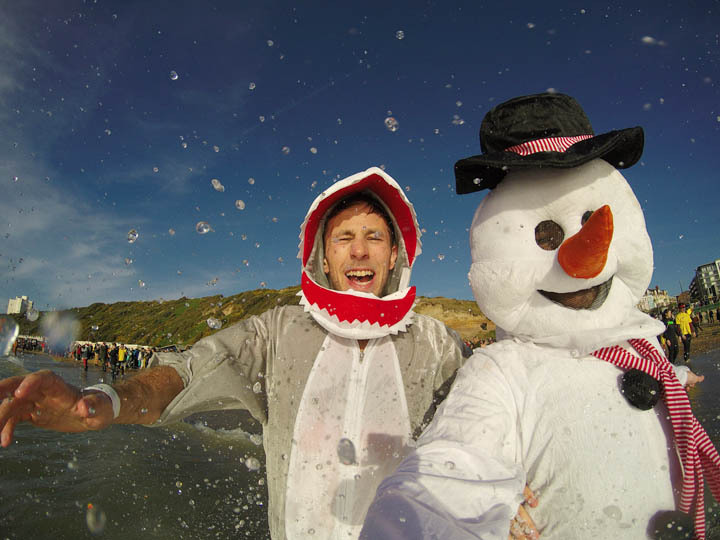 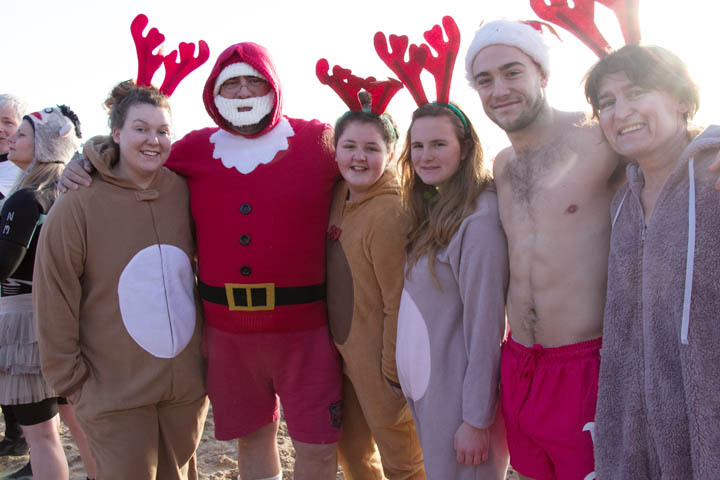 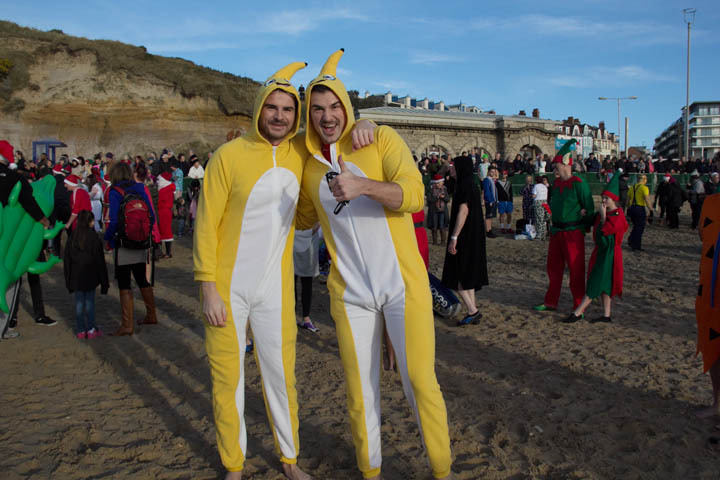 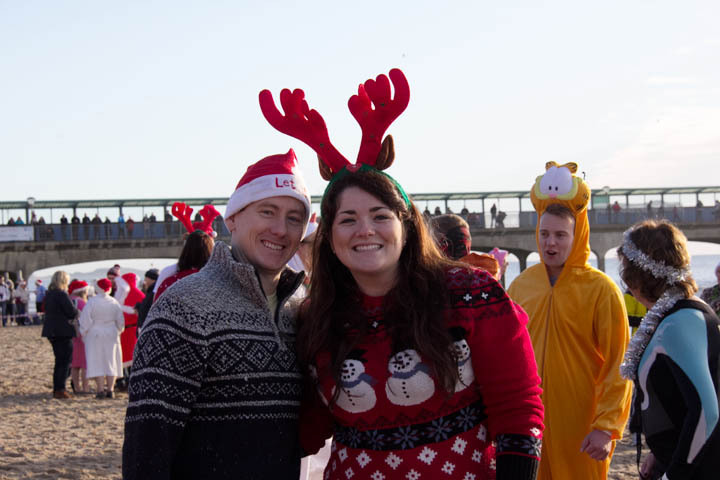 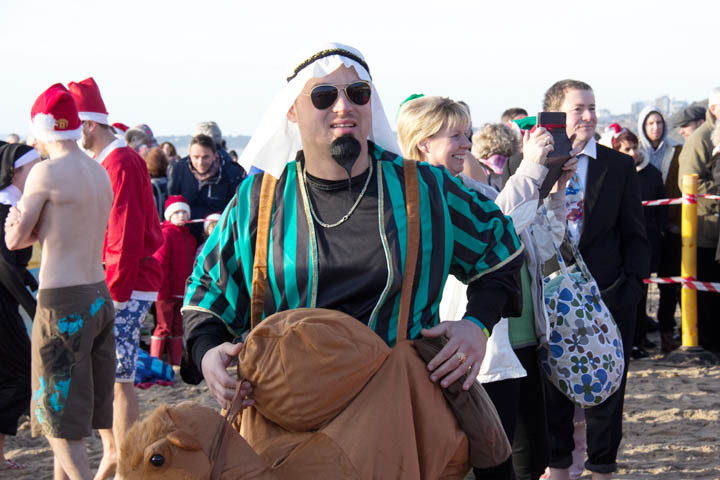 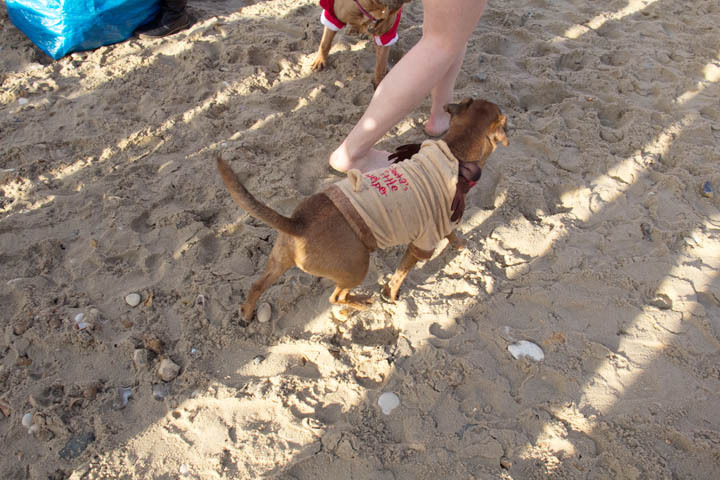 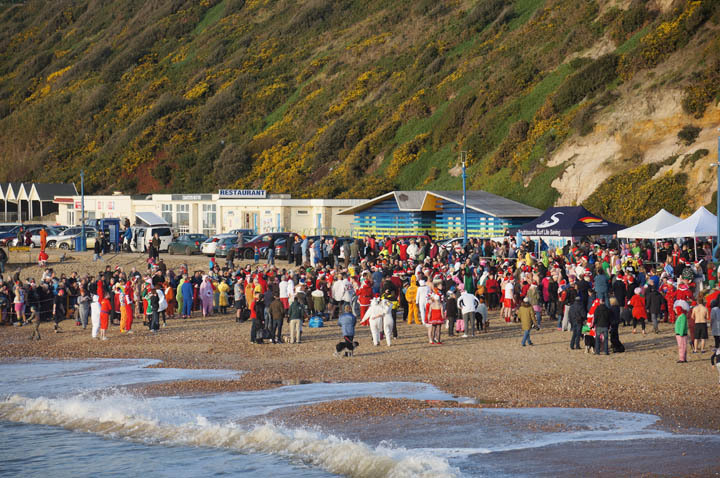 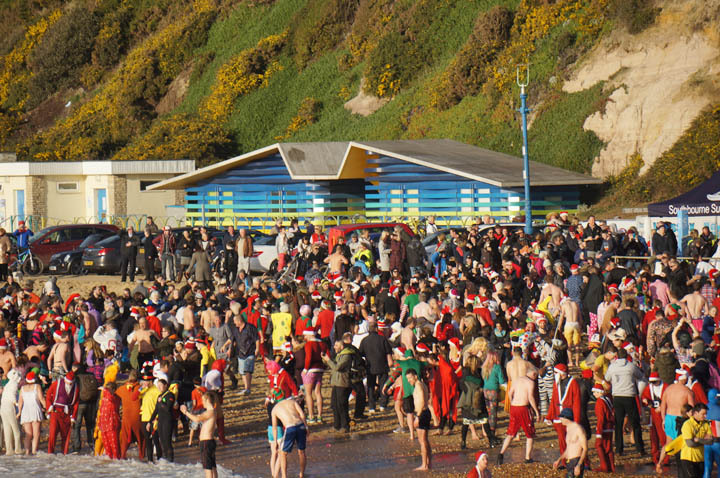 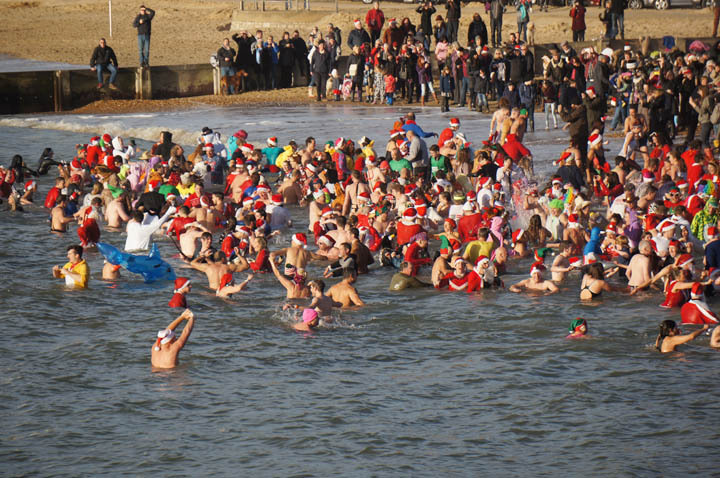 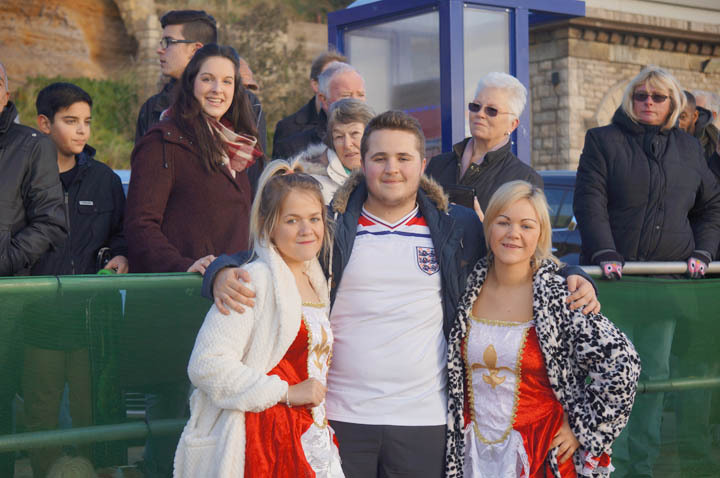 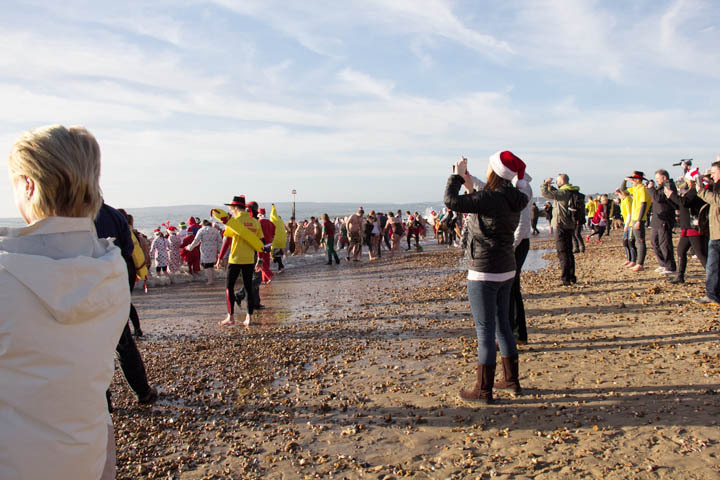 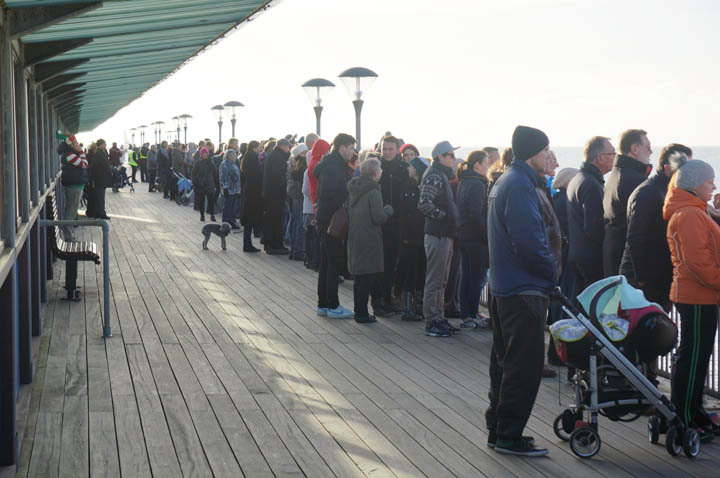 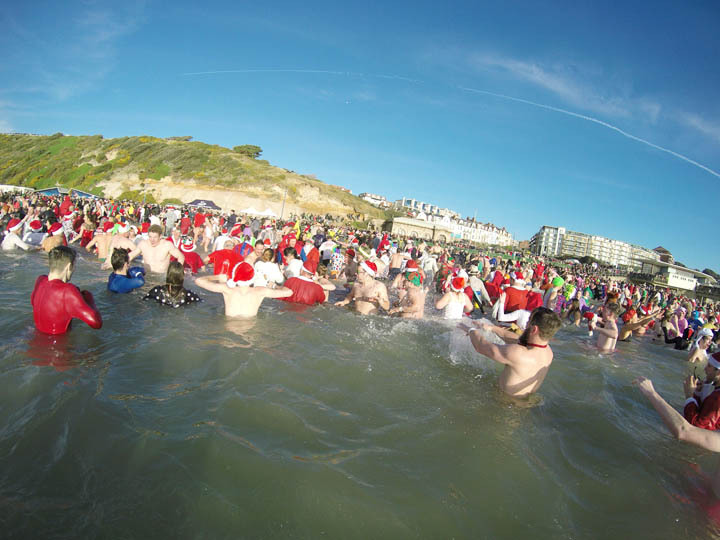 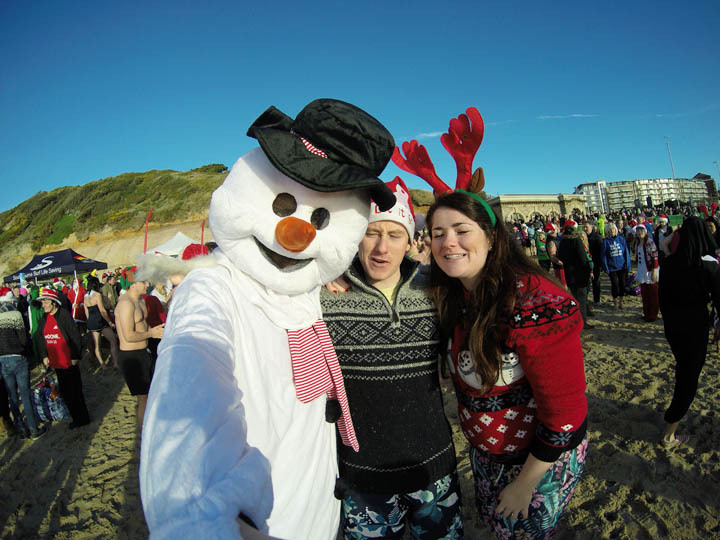 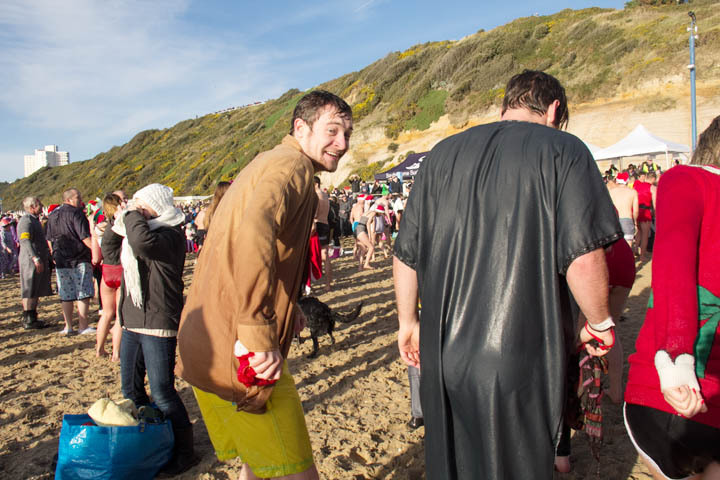 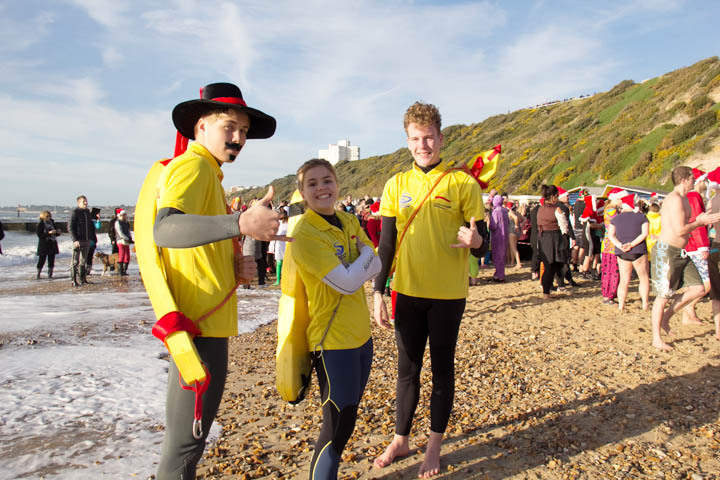 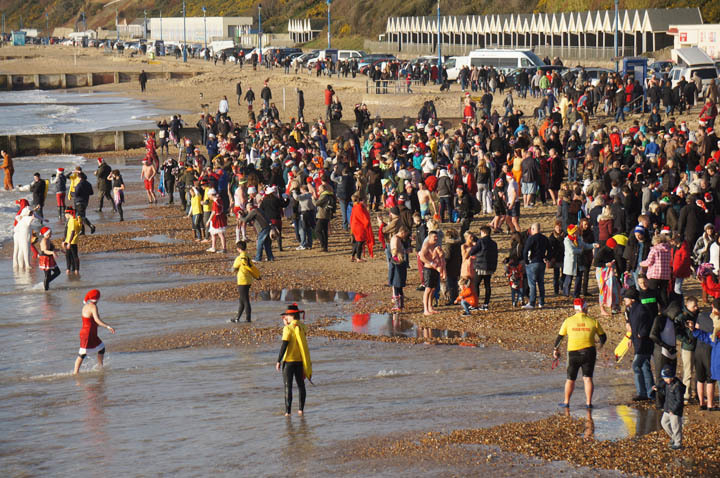 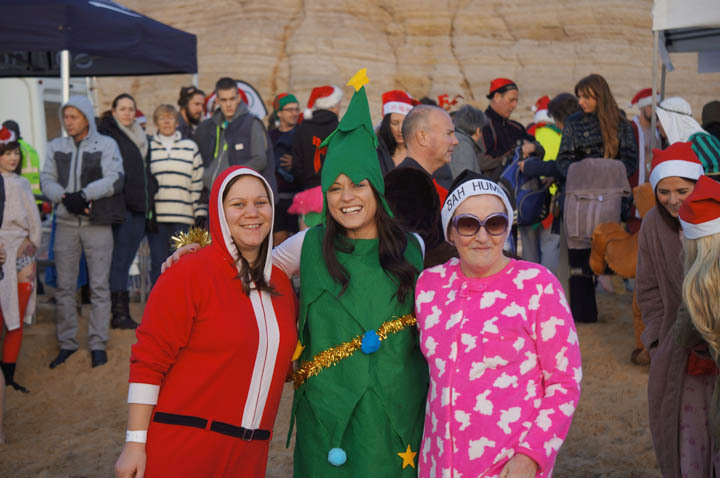 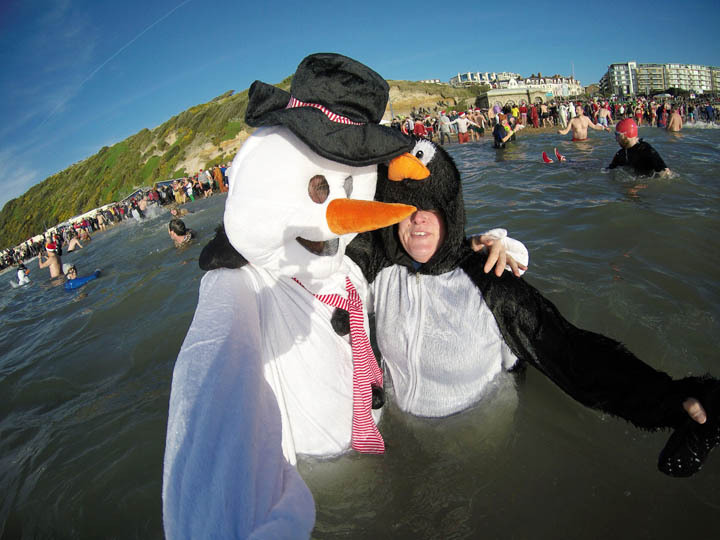 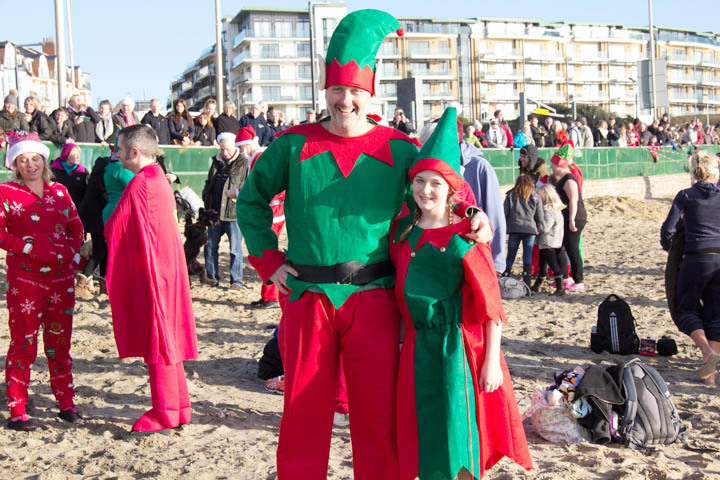 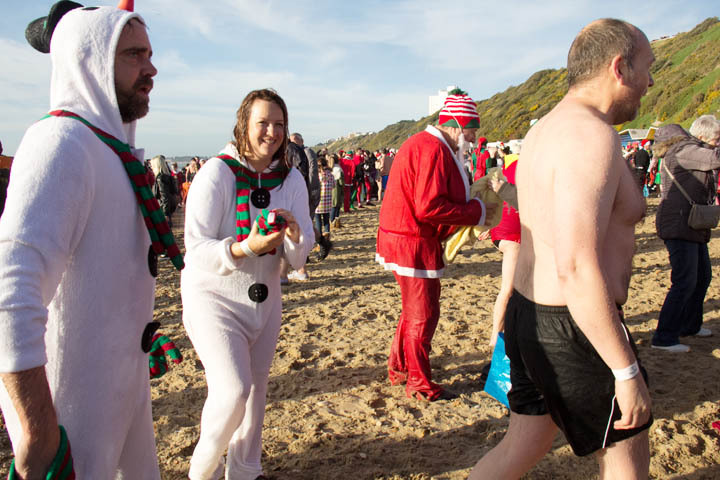 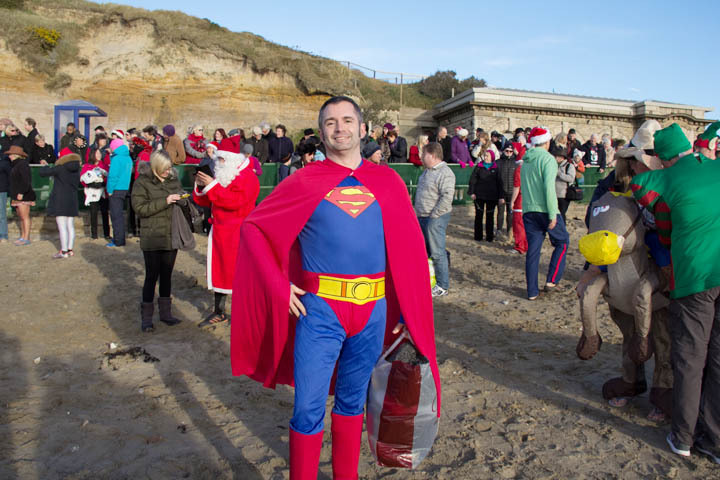 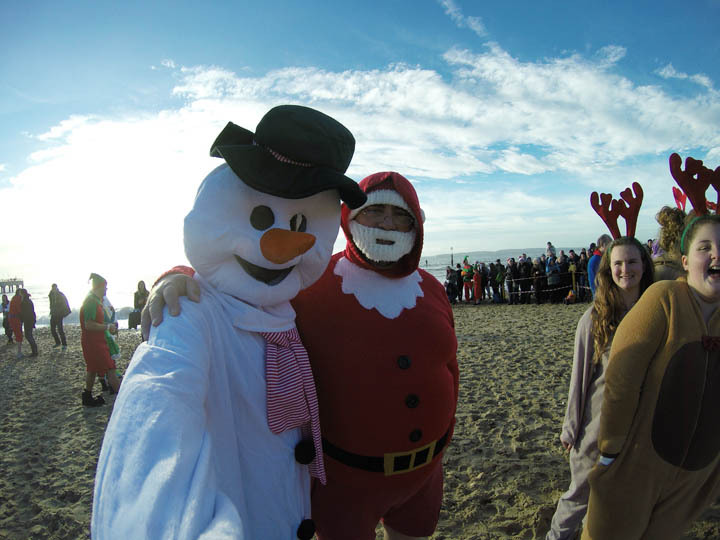 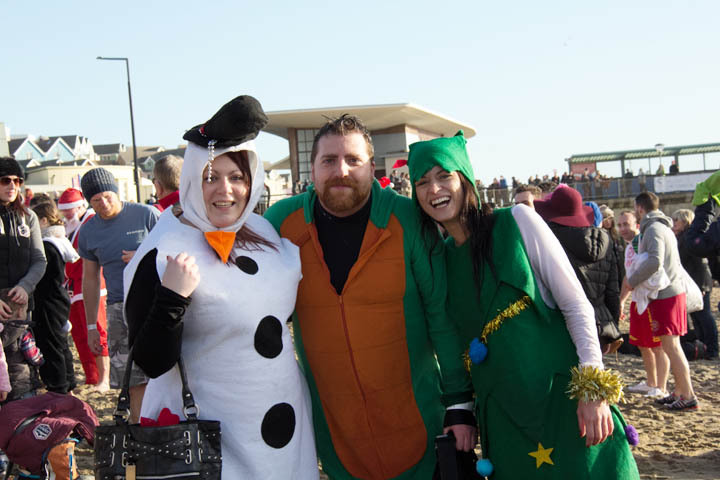 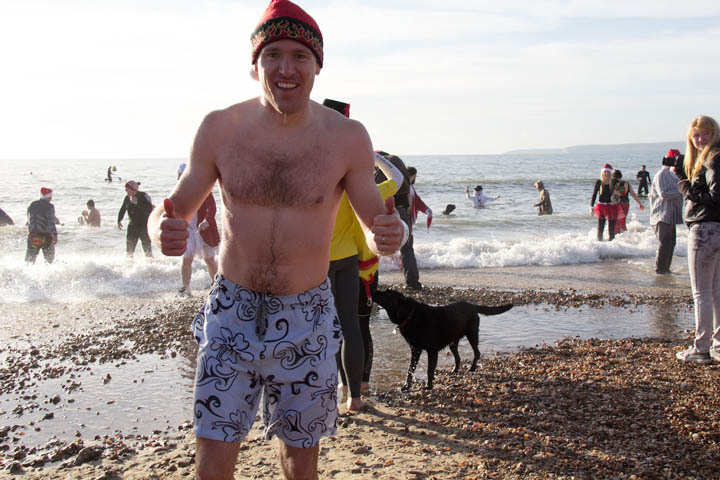 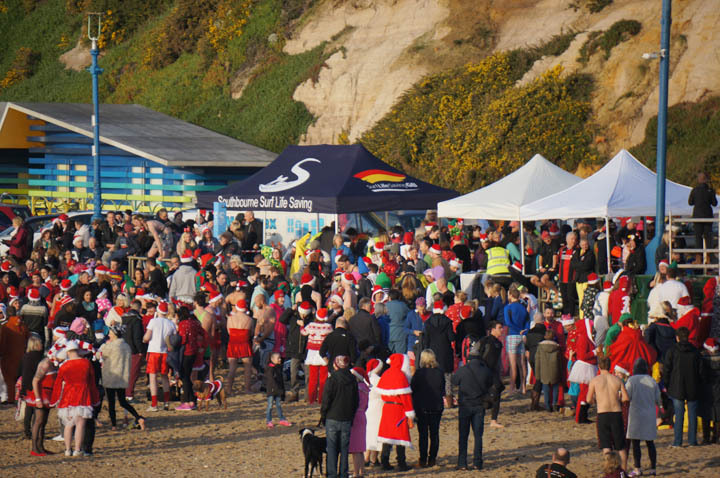 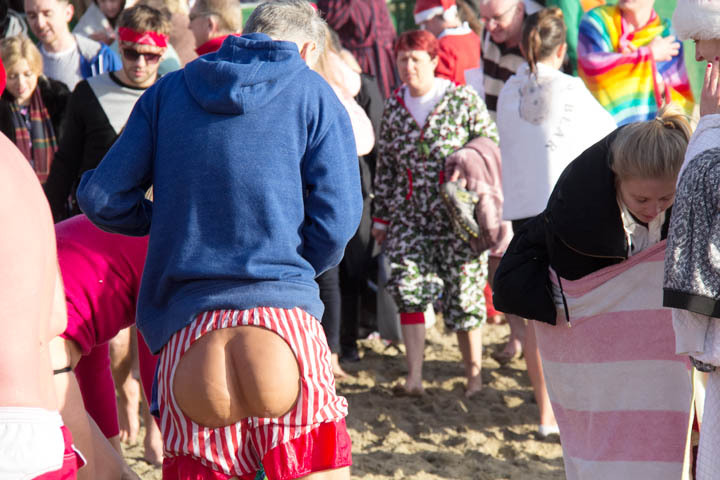 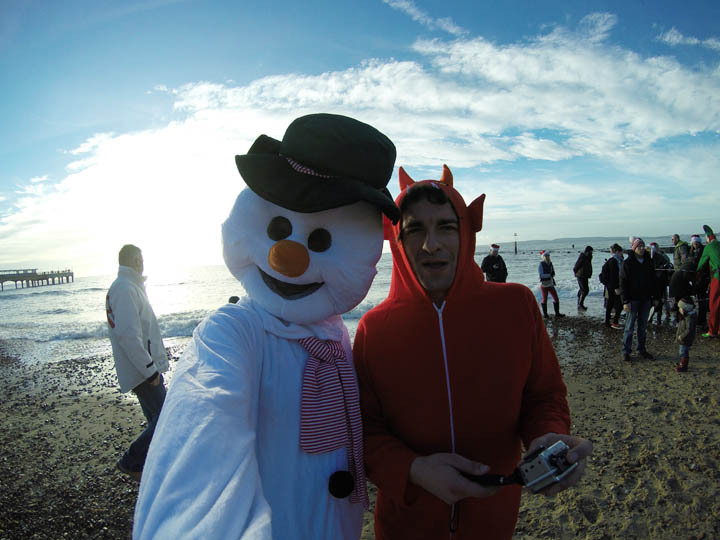 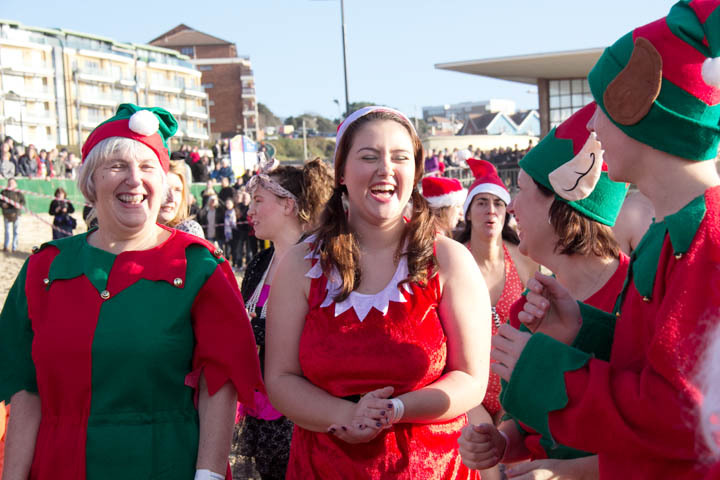 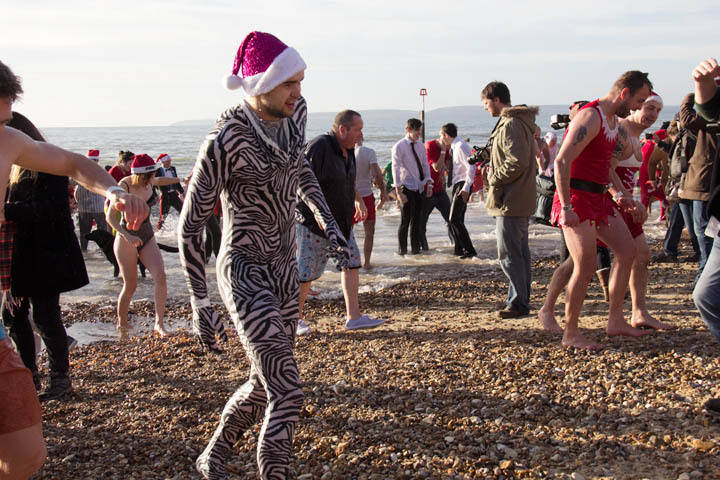 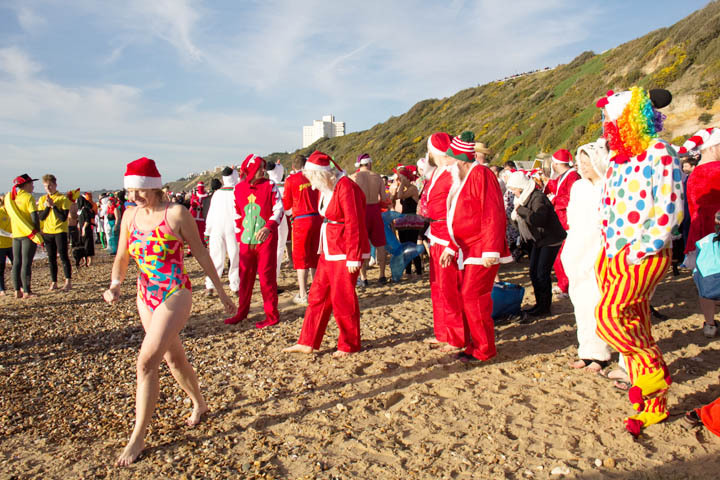 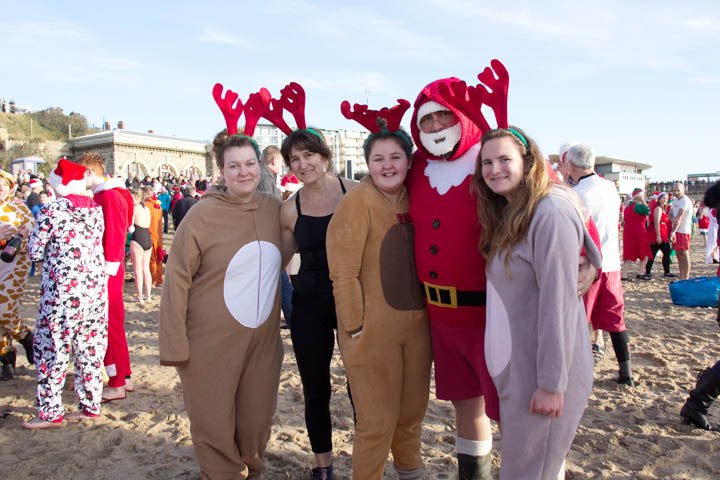 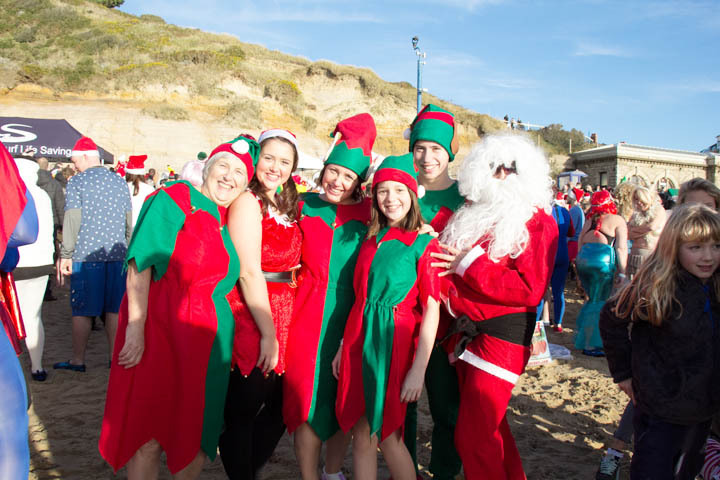 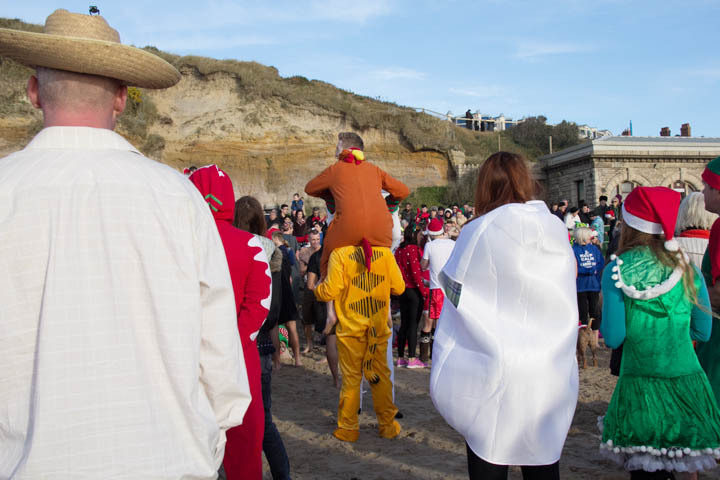 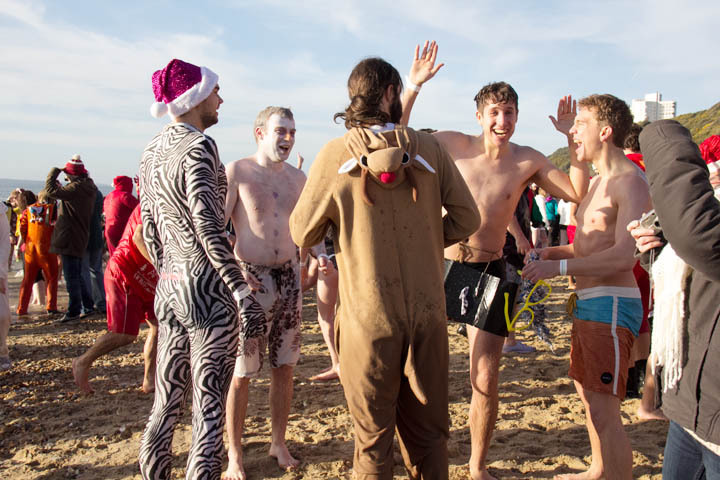 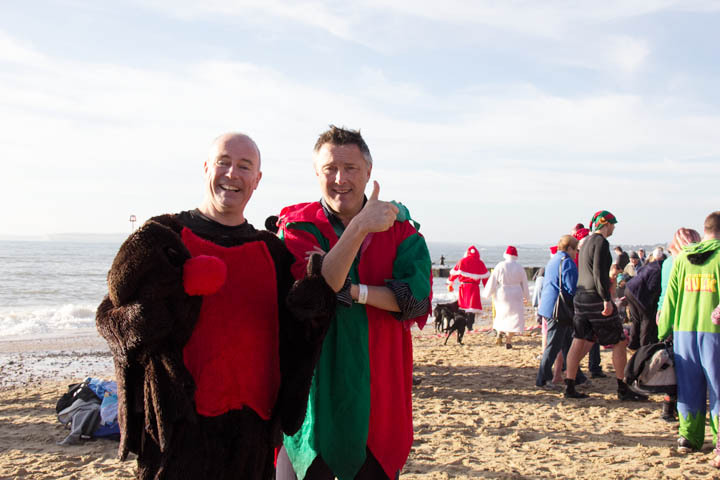 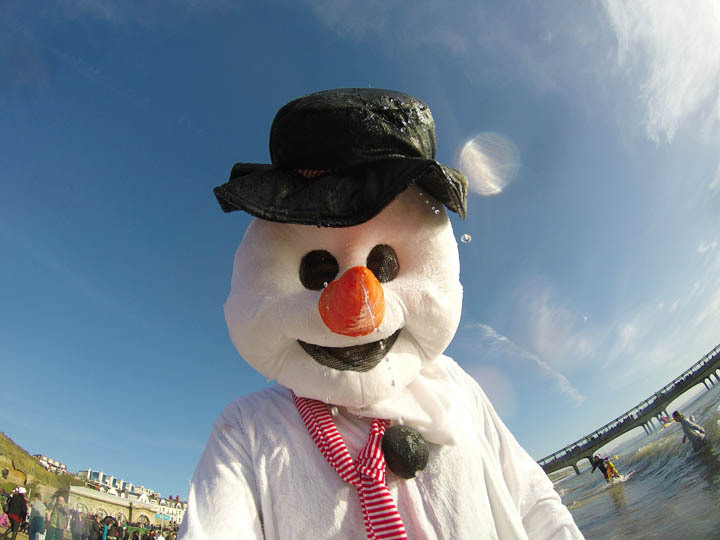 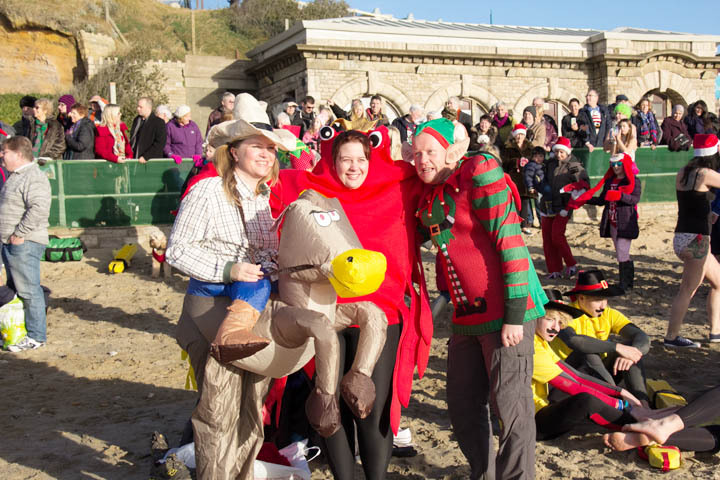 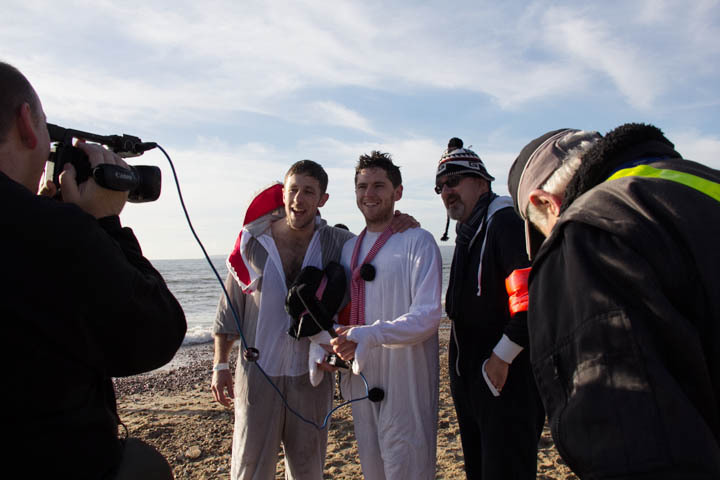 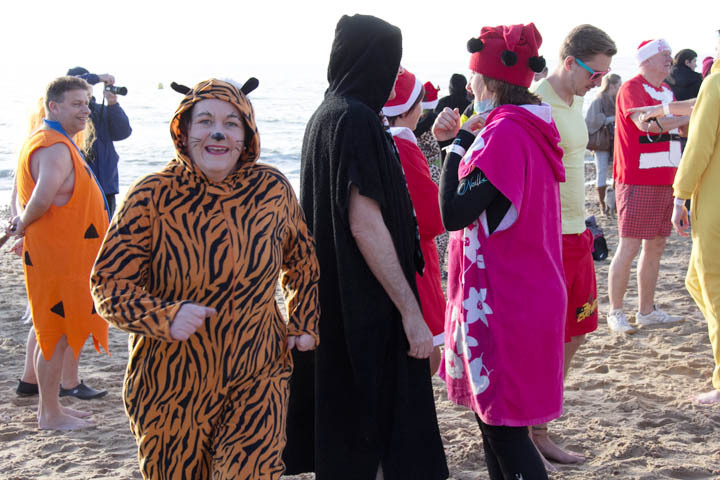 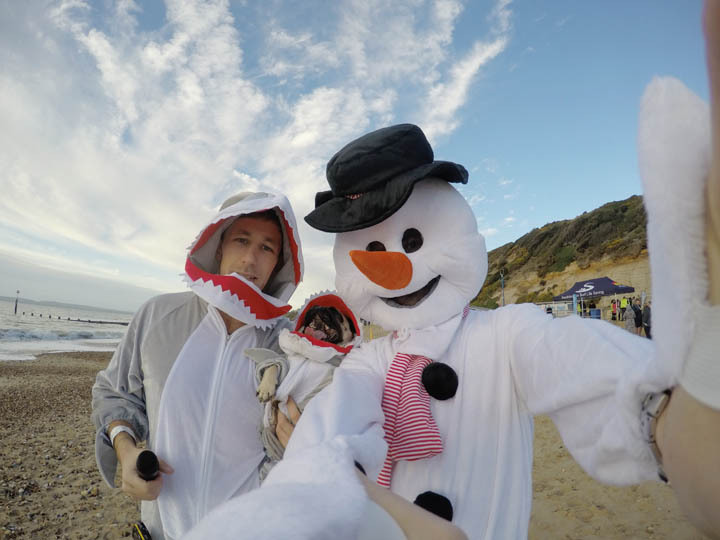 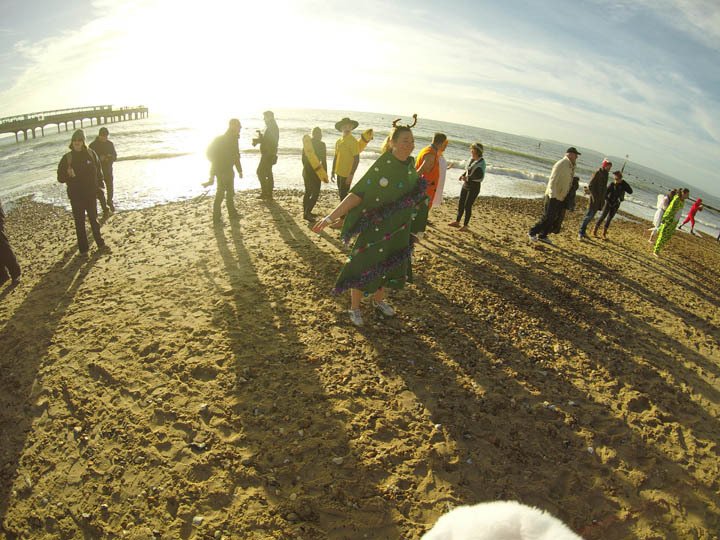 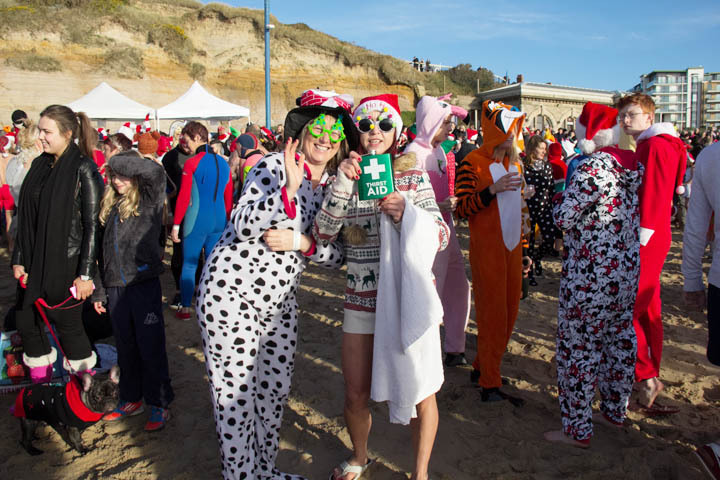 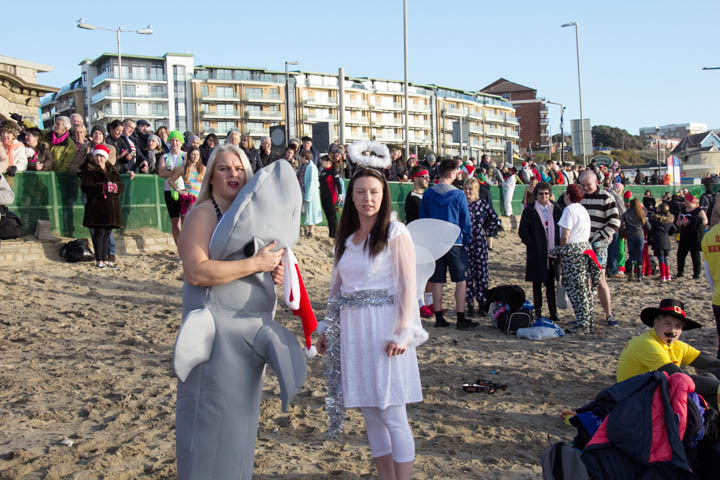 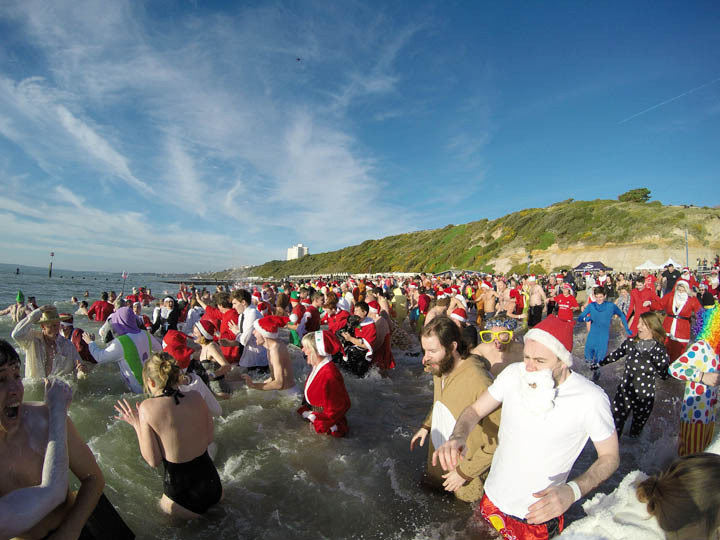 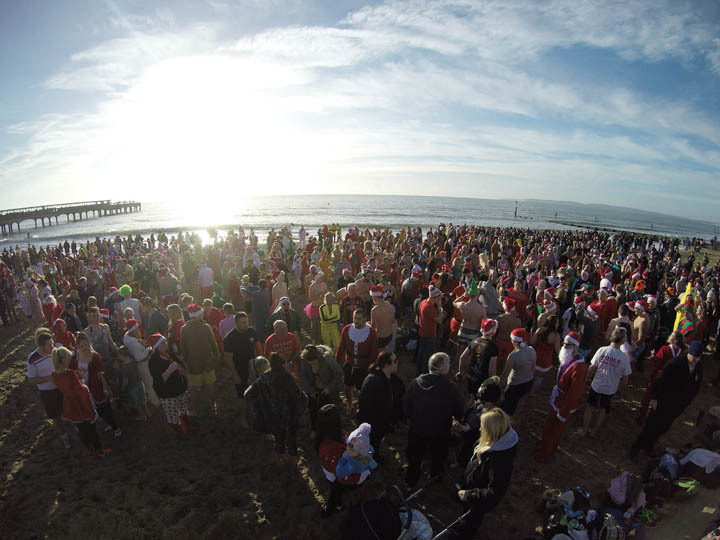 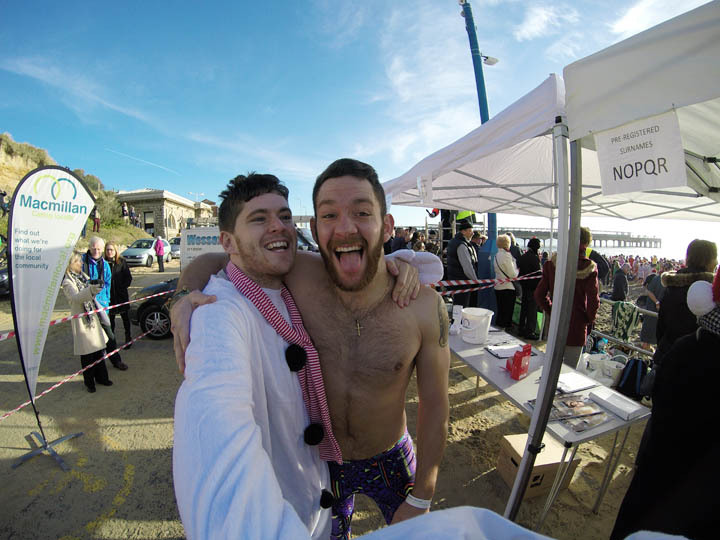 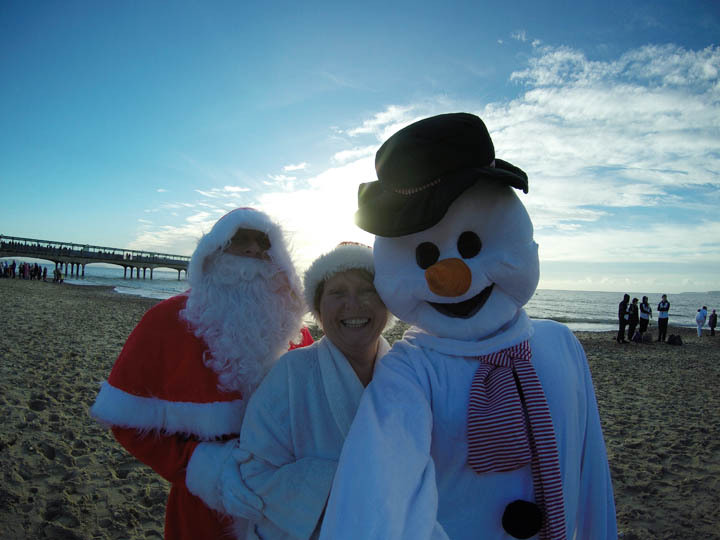 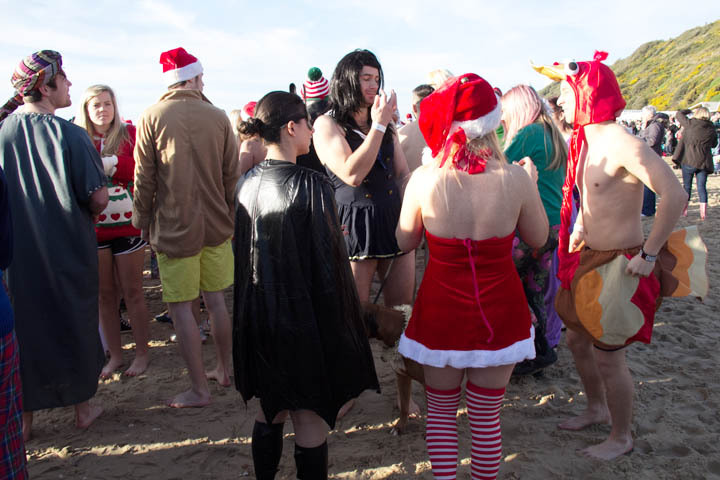 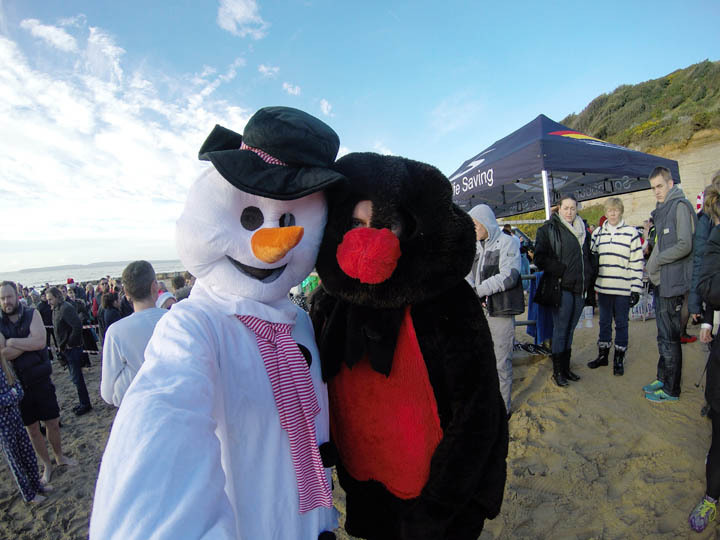 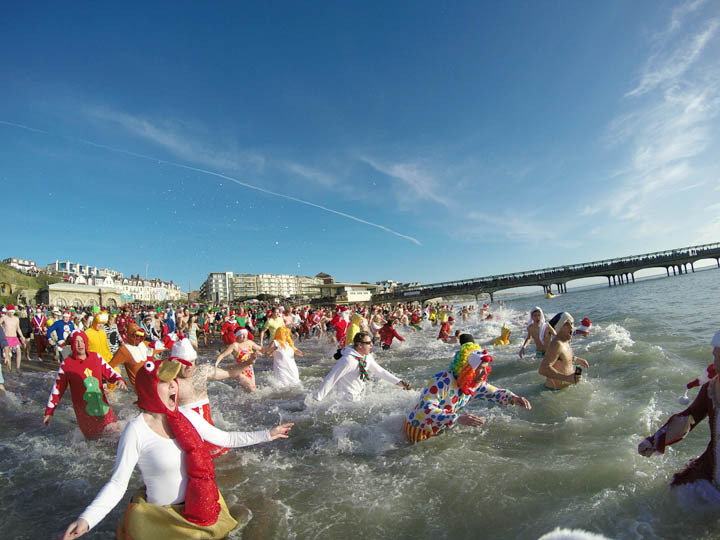 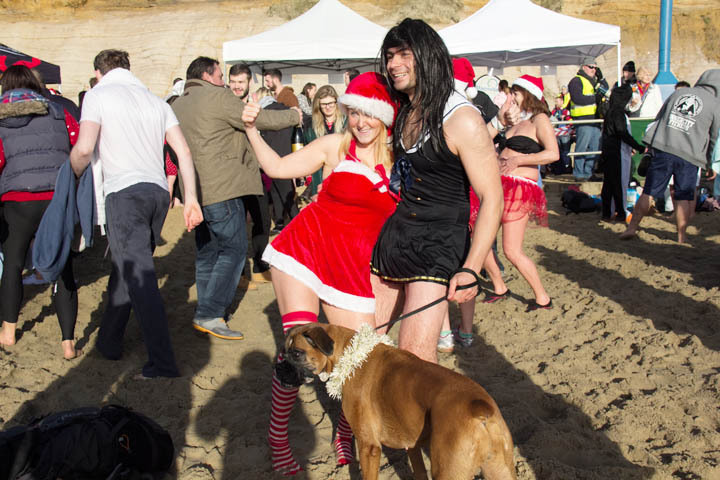 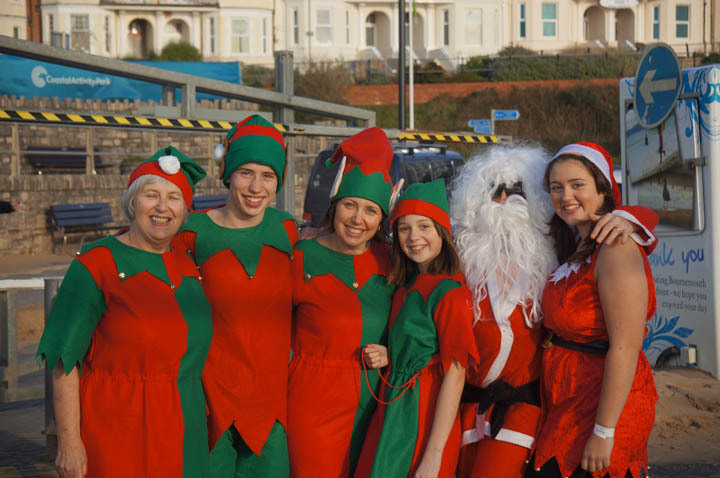 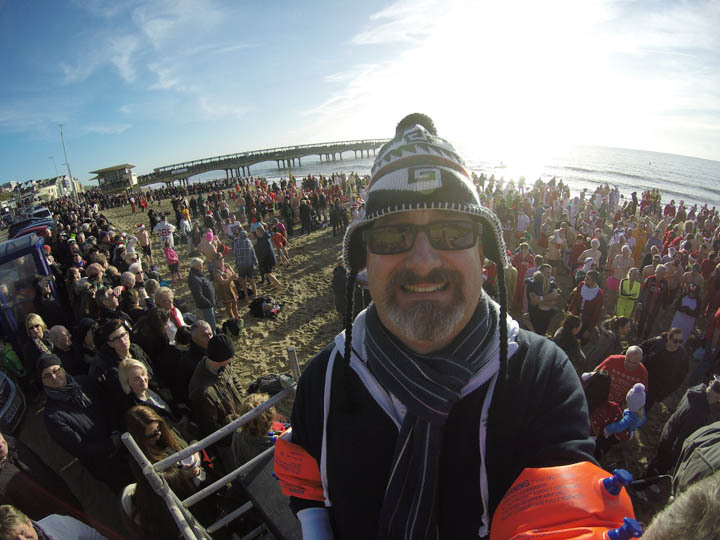 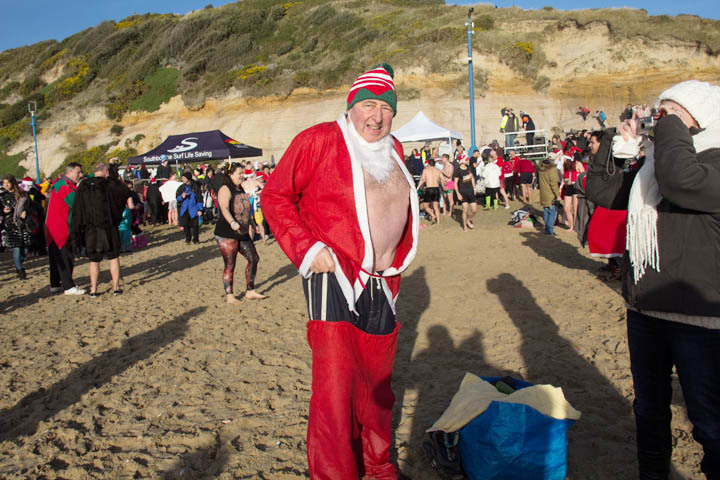 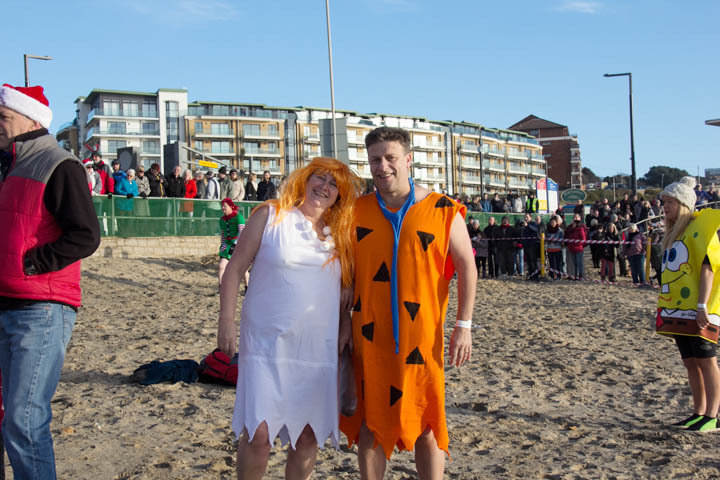 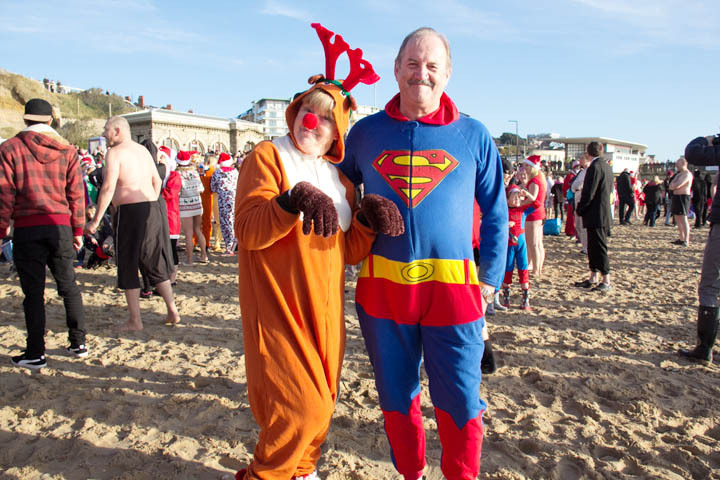 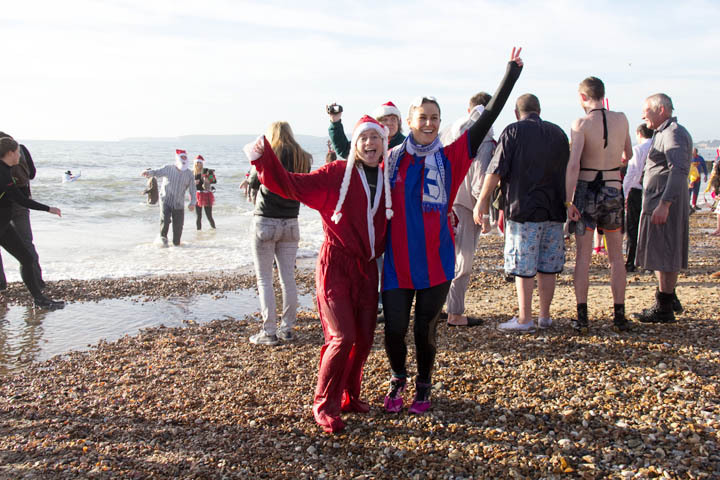 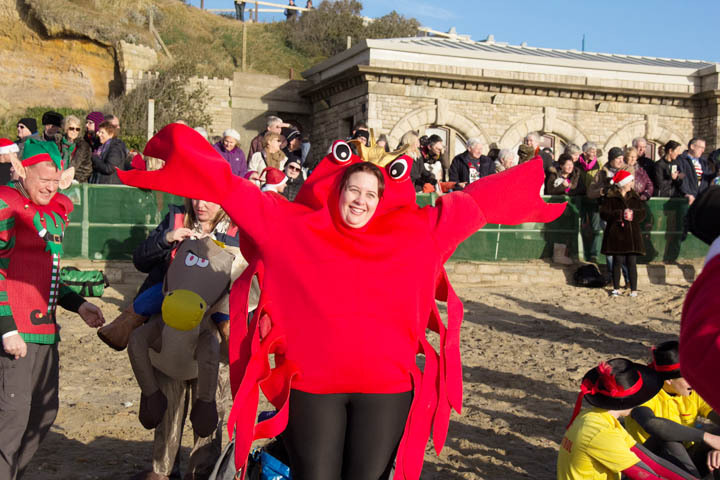 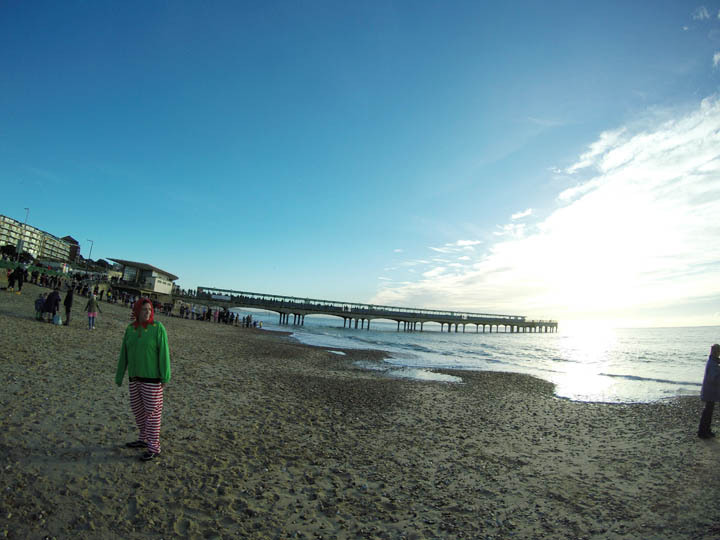 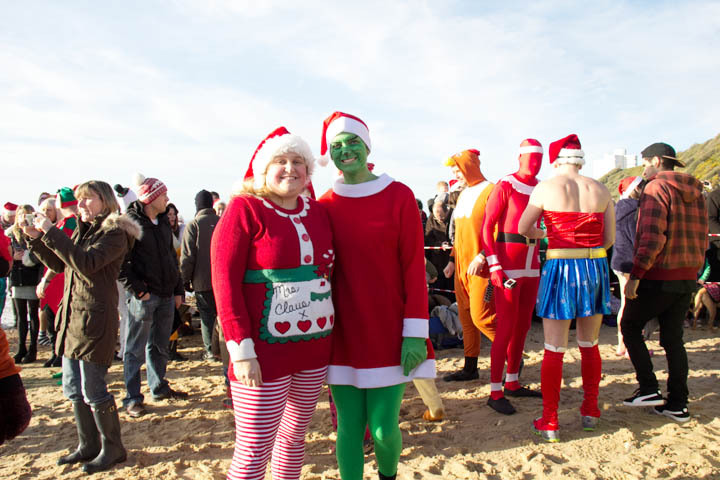 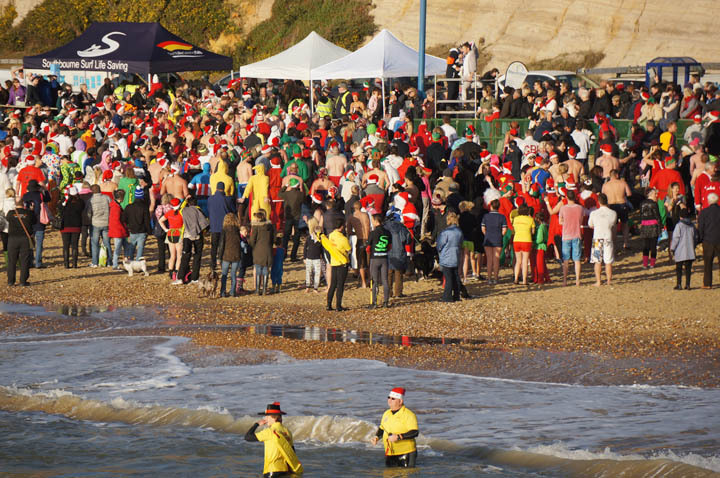 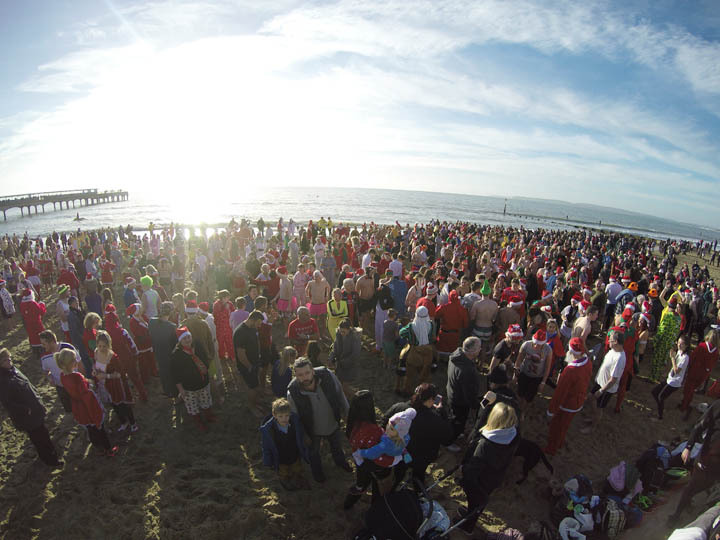 Christmas day swimmers on Bournemouth beach in 2014 taking part in the Macmillan White Christmas Dip. 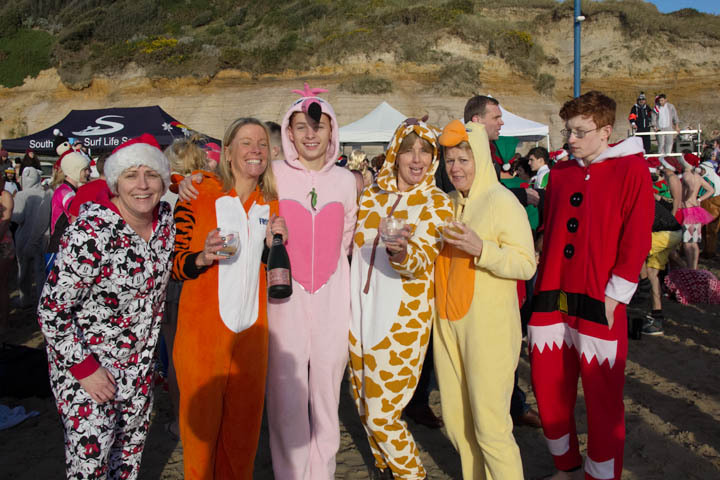 This event is to raise funds for the Macmillan Cancer Care unit at Christchurch hospital.